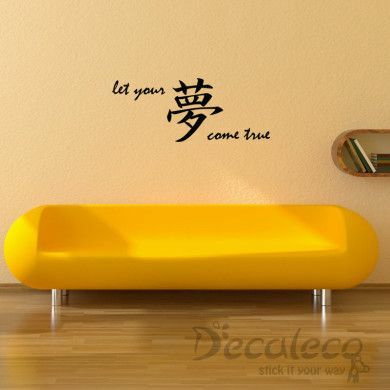 This “Let your DREAMS come true” wall quote is a fusion of English and Chinese/Japanese character which makes this vinyl wall words designs look wonderful. You guessed it, the character 夢 means ‘dream(s)’. In Chinese, it is read ‘meng’ while its Japanese transcription is “yume”. 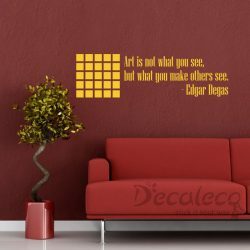 This artistic combination of words brings inspiration to you and the underlying meaning surrounds your living space with positive energy.